Ready to invest in yourself and live the UPGRADED version of your life, the one filled with more Freedom, Ease, and Connection? Well, then you’re in the right place! Private coaching means that you have one-on-one access to Drew either in person or over the telephone. This is the highest level of coaching Drew offers. Private Platinum for premium support and personal access to Drew. All inclusive. Includes private one-on-one day(s), adventure trips, live events with Drew and ongoing coaching. If you want the best, are ready to transform your life over the next year, Private Platinum is for you. Use the Contact Form at the bottom of the page for details/ to check availability. 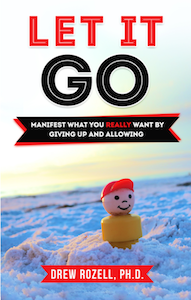 Ready to feel aligned and focused again, fast? Then check out a Private UPGRADE Day with Drew. With a Private UPGRADE Day , you have the option to meet with Drew either in-person or over the telephone for an intense (but fun) day of going through your life or business (or both) with a fine-toothed comb and making BIG changes FAST. If you are ready to upgrade your life or business (or both) and want to feel a new sense of clarity and focus FAST, then a One-Day with Drew is for you. Jeep, kayak, ski, hike with Drew! Want to get aligned, fast. AND have an unforgettable, very cool experience? Ready to feel aligned and focused again, fast? Then check out a Private UPGRADE Day with Drew. Get clear. Get aligned. Get out of your own way. If you’re ready break out of your holding pattern and ready get going, now’s a good time to schedule a private, one-on-one phone session with Drew. Choose either a 1 hour or 30 minute session. The Very Cool Life Club is Drew’s pride and joy. With members all over the world, CLUB VCL was created for people wish to UPGRADE their lives and businesses to the “very cool” level. The Very Cool Life Club is a great way to have ongoing access to Drew’s mindsets strategies and techniques for a super-affordable monthly investment of just $77/month! 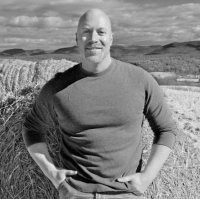 Please note, the coolest benefit of being an active member of The Very Cool Life Club is that you are entitled to private one-on-one laser coaching with Drew! There’s also significant discounts (up to 30%) on Private Coaching and Live Events. Being a member pays for itself! At least once a year, Drew will host a live events/programs where the primary focus is to go deeper into the Very Cool Life material and connect with a group of like-minded people. 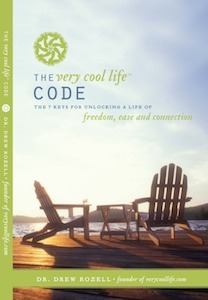 If you are interested in connecting in this way, a useful pre-requisite is to have read my book, The Very Cool Life Code. Buy it here and when you do, you’ll automatically be put on the my private list for updates on special offers for my next event or program! What do people say about working with Drew? Read the testimonials if you like!